CBD oil has been getting a lot of attention lately, and it's no surprise—this natural wonder derived from the hemp plant has plentiful benefits related to physical and mental wellbeing. 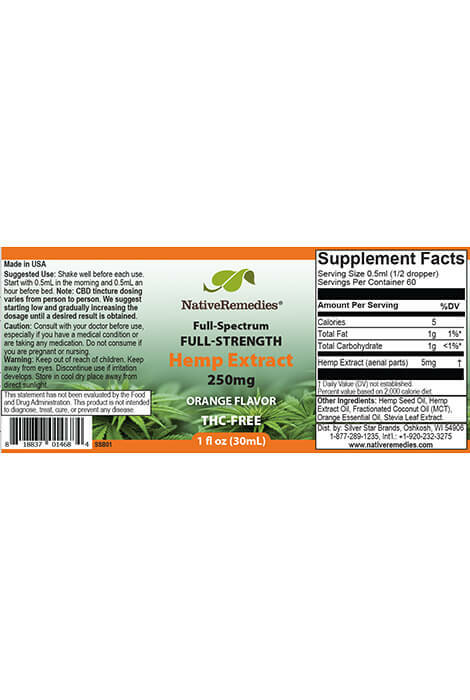 Native Remedies® Full-Strength Hemp Extract 250mg is herbalist and pharmacist-formulated using full-spectrum CBD extracts that contain a variety of cannabinoids, terpenes and flavonoids. Orange essential oil and stevia give the tincture a pleasant taste. Cannabinoids are diverse class of natural compounds that support the human endocannabinoid system, which governs body functions from mood to sleep to pain management. This hemp supplement is made from non-psychoactive parts of the hemp plant, CBD has zero THC – in other words, it doesn't get you high or produce mind-alerting effects. Shown in human and animal studies to reduce anxiety and depression, CBD can stabilize moods, increase energy and boost overall health. It has been found beneficial for reducing inflammation, pain and nausea, supporting cardiovascular health, improving sleep and boosting brain function. 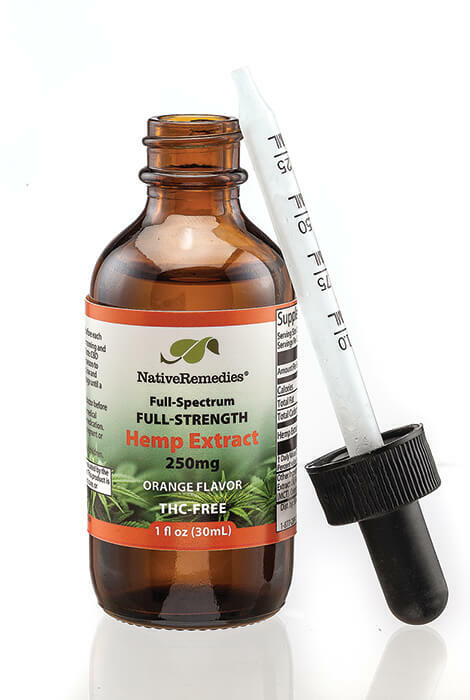 This pure, high quality formula is made from organic USA-grown hemp. 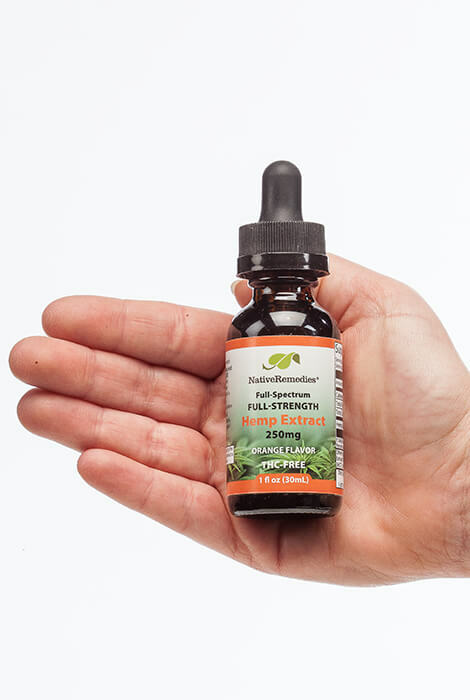 Contains hemp extract 5mg (aerial plant parts) in a blend of premium hemp seed oil, proprietary blend hemp extract oil and fractionated coconut oil. Third-party lab tested. 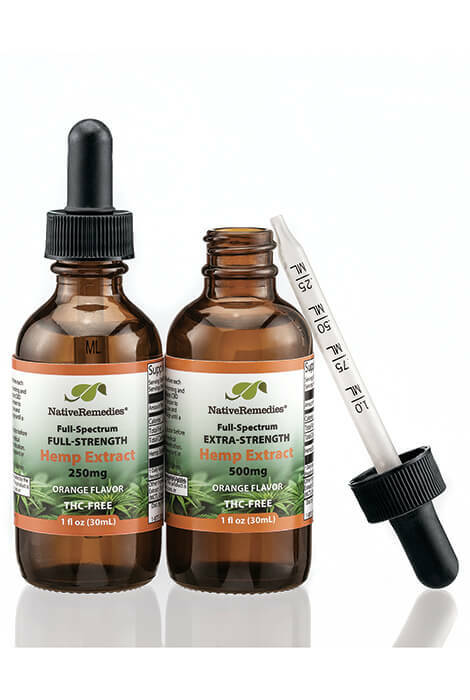 Herbalist and pharmacist-formulated CBD tincture dosing varies from person to person. We recommend starting low and gradually increasing the dosage until a desired result is obtained. To use, start with 1/2 dropper (0.50mL) in the morning and 1/2 dropper an hour before bed. Hold under the tongue for 30-60 seconds before swallowing. If taking prescription medications, please check with your health care provider before taking CBD. 250mg per bottle. 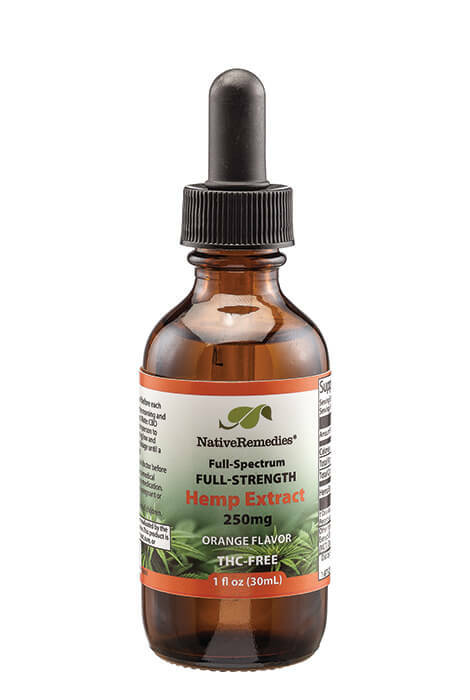 Approximately 60 hemp drops servings per bottle. 30mL.